Rosemary Cousins Treacy born October 27, 1927 in Hackensack, New Jersey passed away on April 28, 2017 in Kirkland, Washington. Surrounded by loved ones, her final words were “I’m lucky”. She is survived by her three children: Michael Edward Treacy, Gayle McDougall-Treacy, Beth Staley and their spouses Joan Treacy, Daniel McDougall-Treacy and Gary Staley. She was proud of her nine grandchildren and four great grandchildren. She is also survived by the second love of her life, Bruce Christ of Boulder, Colorado. She was preceeded in death by Edward Anthony Treacy, her husband of 52 years; Van Meter Cousins and Velna Ethel Whalian Cousins, her parents; Thomas Monroe Cousins and Robert Cousins, her brothers. Rosemary grew up in Lyndhurst, New Jersey and Chatham Township New Jersey. She graduated from Chatham High School in 1944. She attended Cedar Crest College for one year and received her BA from Syracuse University in 1947. She attended University of Las Vegas, not for basketball, but to get her M.Ed. She taught high school math in Las Vegas at Western and Bonanza High Schools for 26 years. Rosemary volunteered throughout her life. In Las Vegas, she was a water safety instructor with the American Red Cross, a tax aide with the AARP “Tax Consulting for the Elderly” program, a member and officer with the Junior League of Las Vegas and the Assistance League of Las Vegas. She spent the last eleven years of her life in Redmond, Washington at Emerald Heights retirement community where she volunteered on the wellness and fitness and finance committees. Said one life-long friend, “Rosemary was a true renaissance woman”, she was a lifelong learner. 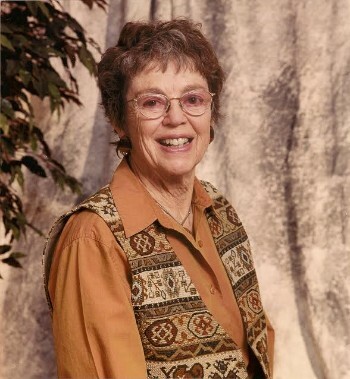 She loved to swim, dance, travel, attend live theater, snorkel, cruise on small ships, read mysteries and adventures, camp in National Forests and Parks and spend time with her loved ones. Those of us raised and loved by her were the lucky ones, she will be missed. The family plans a private gathering in Las Vegas where she lived for fifty-four years. The family can be contacted at rtreacyfamily@gmail.com. Lovely tribute to a lovely woman Gayle. You were all lucky to have her in your lives. Hugs to all.